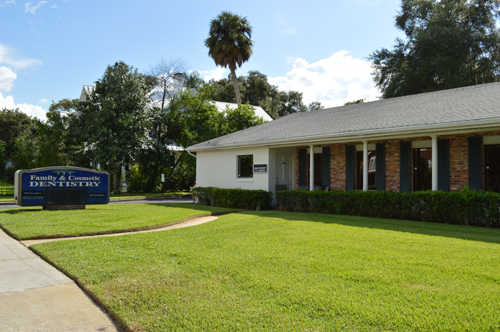 At Dr. Ferry’s office, we value our patient relationships, making it our priority to deliver gentle compassionate care that you deserve from a dentist in Polk County. We work hard to make you feel at ease by providing exceptional patient care in a relaxed, convenient atmosphere. We strive to develop lifelong relationships with our patients by combining the latest dental technology with a professional and compassionate staff. The result is a beautiful, healthy smile that lasts a lifetime. We also believe that patients should have sufficient information to make educated decisions about their oral health, treatment options and choice of dentist. You’ll find all of this important information on our website, including directions to our Bartow office, service descriptions, patient forms, patient education resources and more. At our practice our focus is to provide you with the highest quality dental care in a comfortable and pleasant environment. We are dedicated to making sure your experience and expectations when entering our office are not just met but surpassed. Our experienced staff is always ready to answer any of your questions/concerns. We aim to keep our patients educated so you are aware of what each procedure in your treatment plan entails and have the knowledge to preserve your beautiful, healthy smile! Dr. Ferry and his professional staff attend continued education courses to apply the latest technologies and skills in their practice. Dr. Ferry’s goal is to provide his patients with optimal oral health and build life-long relationships. Dentistry is our profession, but people are our focus!